Monica is a super clean and minimal responsive blogger template. 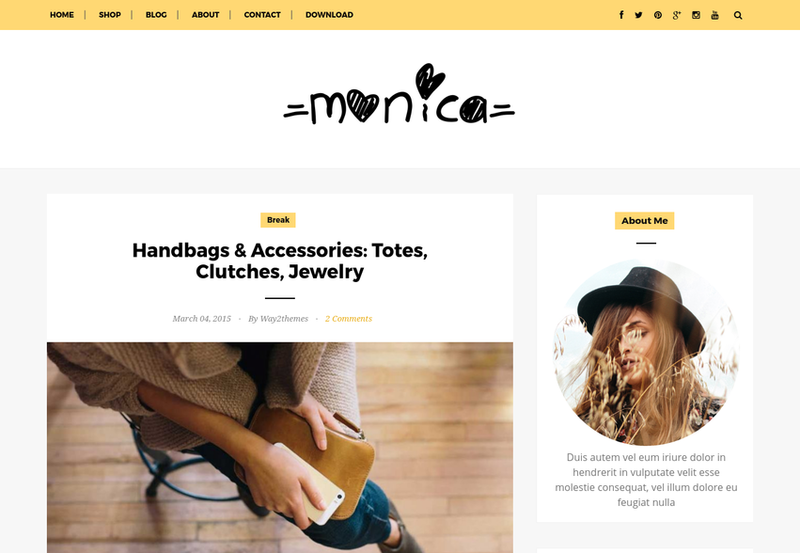 Monica is mainly designed for personal blogs, makeup blogs, OOTD blogs etc. Whether you want to give your dusty old blog a new coat of paint or are drowning in a sea of posts and categories, Monica is here to your rescue. It Simplifies and present your content in a way that is accessible, logical and beautiful. Monica is built with Latest HTML5/CSS3 and is completely responsive/retina-ready. Not only is it responsive but it also keeps that professional feel right down to mobile screen sizes. Practically every typographic element has been endlessly tweaked for different screen sizes to make sure it looks great no matter what the device. Following are some of the key features of Monica blogger template.